A unique new belt design by Mont Pellier that features a braided construction of genuine leather straps. 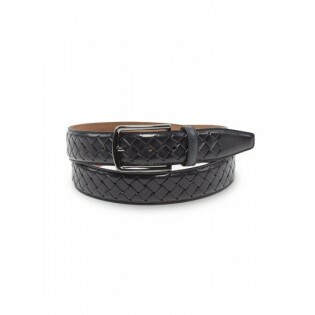 A great belt not just for all your suits, but also for jeans, casual trousers, and even shorts. 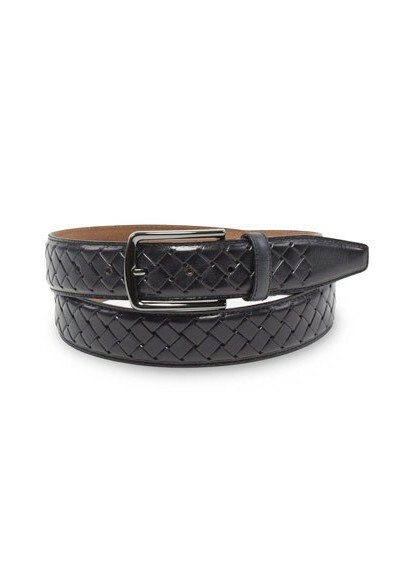 We offer this belt in sizes from 30 to 44 and in colors black (shown), cognac brown, as well as dark brown. NOTE on Sizing: To find the proper belt size, select one size larger than your pant size. For example: If you wear pants with a waist size 36 then you should opt for a belt size of 38. Each belt comes with 5 holes spaced 1 inch apart.